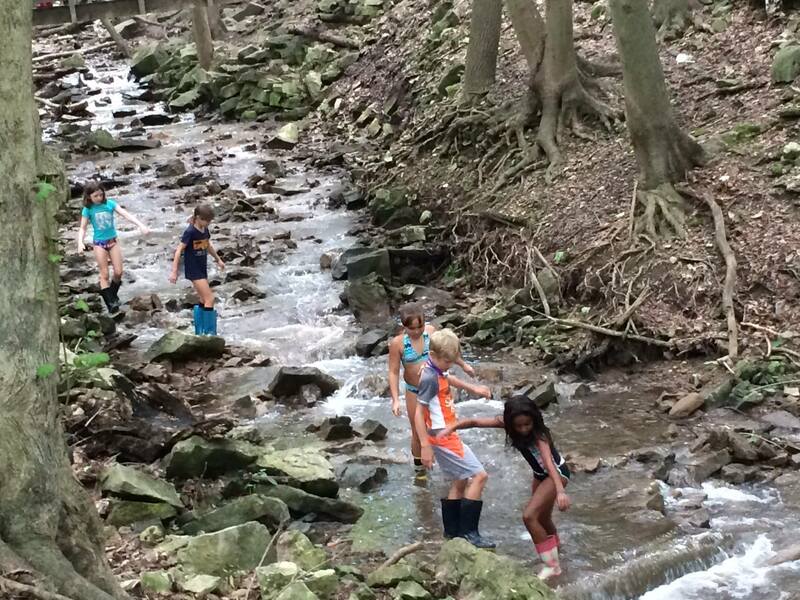 This summer over 600 children and teens participated in overnight and day camps at Canterbury Hills Camp. Many were returning campers who had been waiting in anticipation for months. Many were new campers arriving with a mixture of excitement and anxiety. All set out for an outdoor adventure away from the comforts of technology and familiarity of home. All were invited to put faith into action. On the first day of each session, cabin units were assembled and campers could see cabin mates as strangers or potential friends. They could trust this new camp family or withhold trust. They could choose to open their hearts or remain distant. Fast forward to the last day of each session and miraculously, these units of strangers became trusted friends. Barriers were crossed. Differences were celebrated. Hearts were joined. Cabin units that started with awkward beginnings finished with emotional group hugs and prolonged good-byes. Faith was put into action in the first decision to register for camp. Faith was tested in the moments when doubts and insecurities surfaced. Faith was rewarded when strangers became close friends. New heights of self-confidence were reached when decisions of faith overcame fear. In our daily Chapel sessions, we presented an entertaining and interactive skit about a girl who was struggling to find her identity. She was a brilliant scientist who had created a cure that would stop the evil Dr. Fang from turning humans into monsters. To save humans and the world, she needed faith in herself, faith in other people, faith that wouldn’t quit and faith that she could contribute to a better world. In a parallel journey, campers explored how faith could be put into action at camp and after camp. 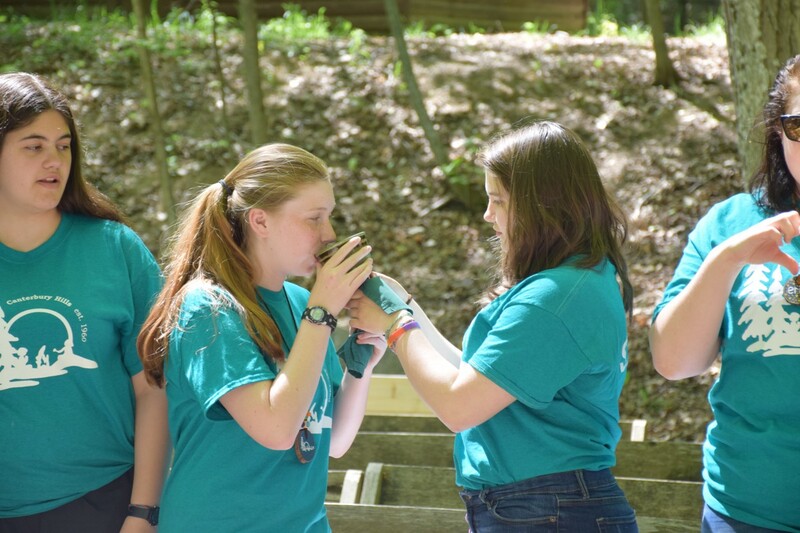 At our Holy Eucharist each Friday, campers and staff considered God’s love and role in their journey of faith while reflecting on these themes – independence, teamwork, confidence, acceptance, selflessness, creativity, love and peace. 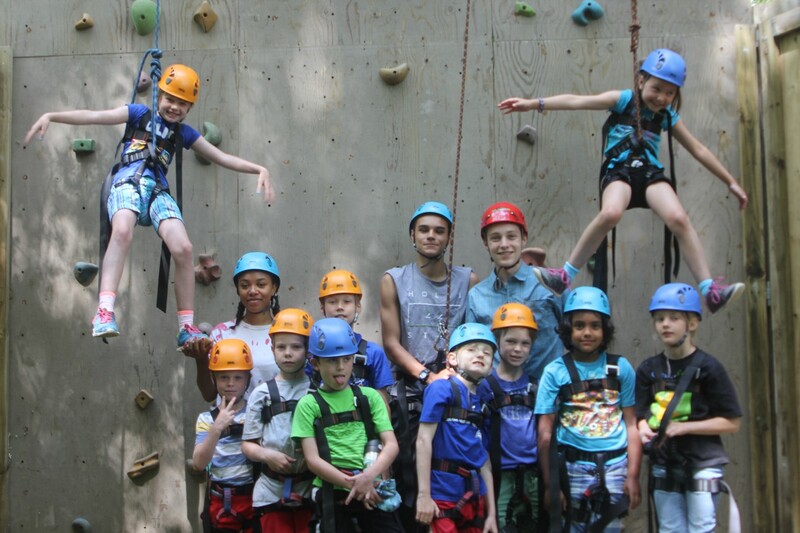 With faith put into action through enthusiastic and passionate campers and staff all summer long, we had a fabulous and wonderful summer at Canterbury Hills Camp. Special thanks to all those people and parishes who supported this camp ministry with gifts and prayers. This fall, we are inviting campers, alumni and supporters to put faith into action by joining the Canterbury Hills Walk/Run team in the annual Road2Hope event on November 5. Lance Wright is Director of Canterbury Hills Camp.